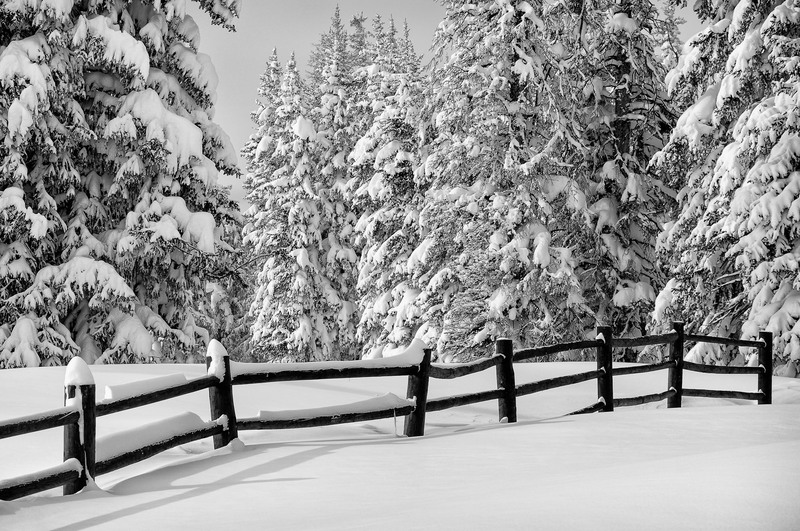 Wood Fence in Winter after Fresh Snow. Scenic winter landscapes in the mountains of Colorado USA. Converted from 14-bit Raw file. sRGB color space.